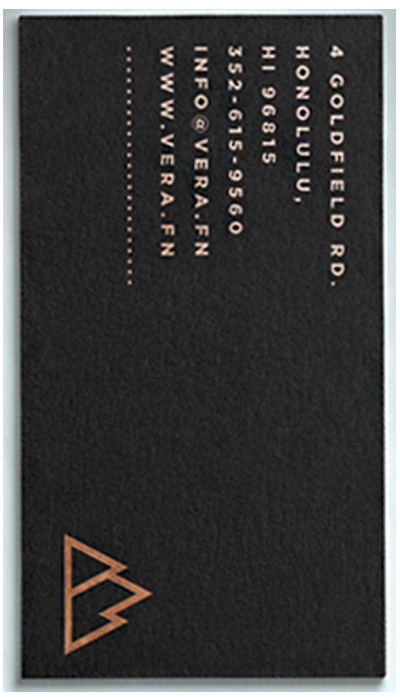 Luxury Gold Foil Stamping Business Card printed on Silk 34pt. Paper Stock. 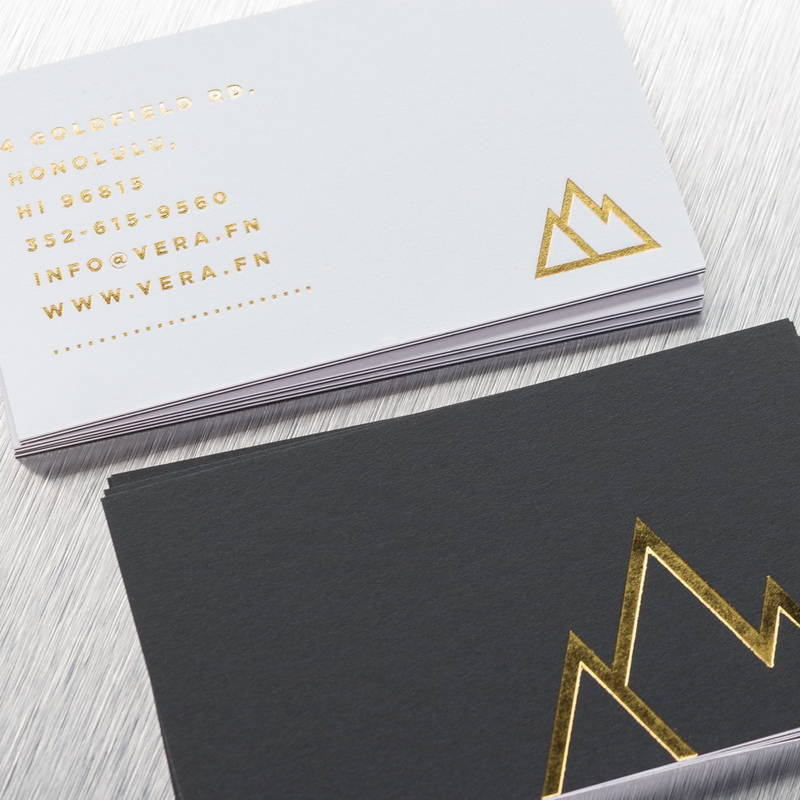 Both sides Gold Foil Stamping on White and Black Paper.